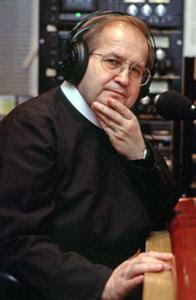 A Polish prosecutor will start an investigation into the controversial statements made last year by Father Tadeusz Rydzyk, the founder of Radio Maryja, a Catholic radio station known for its anti-Semitic broadcasts, press reports said. The decision to start an investigation, decided by a court in Torun, is a response to a complaint by a Polish Jewish organization against the anti-Semitic statements that were made by, or attributed to the priest. Father Rydzyk was quoted at a meeting with university students last summer as accusing Jews of greed in a government compensation deal on confiscated property. He also reportedly denounced President Lech Kaczynski as a "fraudster who is in the pockets of the Jewish lobby." The priest has denied making the inflammatory remarks but popular magazine Wprost claims to have a recording of Rydzyk’s statements. Jewish group had called on Pope Benedict XVI to condemn the statements and to discipline Father Rydzyk and his broadcast outlet.